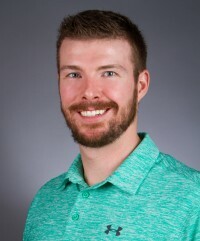 Meet Dr. Mike McMenamin, BHSc, D.C.
Dr. Mike McMenamin graduated from the University of Western Ontario with an Honors Bachelor of Health Science Degree in 2009. He then went on to obtain his Doctor of Chiropractic Degree at Canadian Memorial Chiropractic College (CMCC) in 2013. During his time at CMCC, Dr. Mike also became a certified Medical Acupuncturist through McMaster University. He utilizes various soft tissue therapies and is Graston Techniques trained, while having taken Active Release Technique for Spine. Dr. McMenamin is also trained in baseline concussion assessment and treatment therapies through Complete Concussion Management™ . Dr. Mike practices an individualized, evidence-informed and functional approach to all patients. His goal is to not only fix current problems, but to prevent patients from future injury. Each patient will receive a personalized treatment plan consisting of passive care, functional rehabilitation and patient education. Dr. Mike is focused on having each patient performing and living optimally with an emphasis on patient goals.